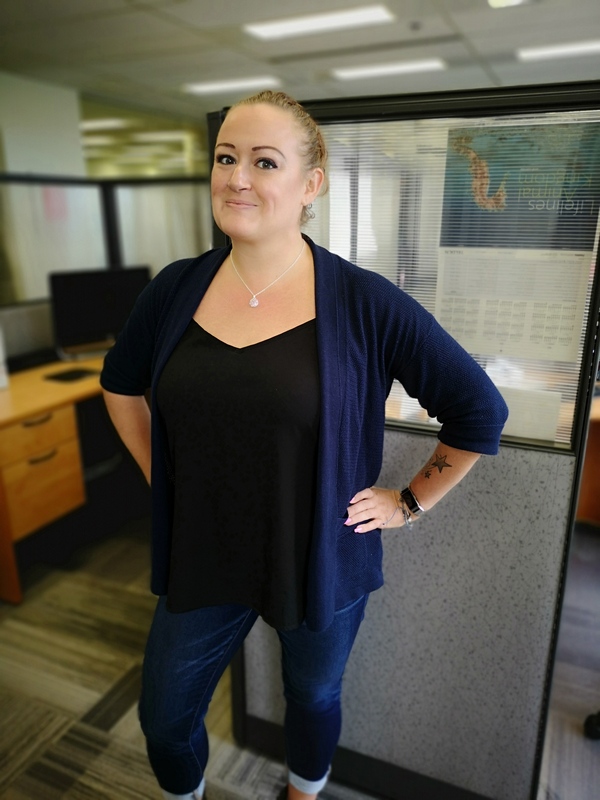 Client Care Coordinator Danielle has taken wellness to the next level – transforming her life and health with a focus on small changes in her everyday life to create a big impact in the long run. Danielle’s life changed when her husband bought her a Fitbit for Christmas two years ago. By summer of 2017, Danielle was walking four kilometers a day during her lunch hour. She also started taking a kickboxing class around that time. With the commitment to exercise and some changes to her diet, Danielle has lost more than 50 pounds. She says everyone at work tends to focus on healthy living, which helps motivate her. As a coordinator, Danielle communicates throughout the day with clients and employees, matching appropriate health care workers to provide home care to clients. She says she loves seeing clients and talking to some of her favourites. Danielle’s success in her job is complimented by her health and wellness achievements. She says the confidence gain has been the best part of her health and fitness journey, encouraging her to try to inspire others.